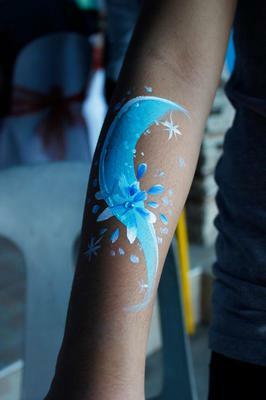 Add color and fun to your birthday, school program, company party, Christmas party, or any event that you will have. 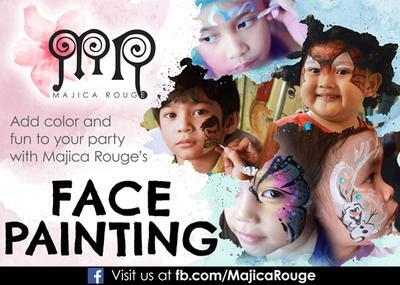 Majica Rouge offers AFFORDABLE face painting services of 2 artists for only Php 800/2hrs or Php 1000/4hrs. (unlimited faces including adults & kids). 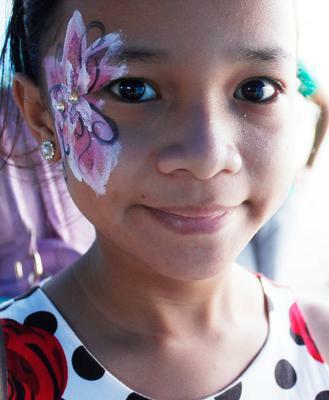 No transportation fee if nearby Muntinlupa, Cavite or within Metro Manila. 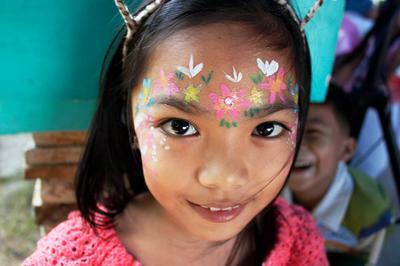 We use face paints that are trusted and proven safe, non-toxic, hypoallergenic and easy to remove. For more inquiries, please send us a message.